“Peace of Mind” for YOU and your loved ones is all we could ask for. Knowing that your loved ones are happy, safe, loved & cared for is the best feeling in the world!! Ian Murray, the Executive Director of Residence on the Thames, invites you to stop by and see what makes Residence on the Thames unique. We are located on the banks of the River Thames, and we offer beautiful, spacious private suites ready to be made your own. Three homemade, healthy and delicious meals are served daily in our dining room with alternate choices always available. Here at Residence on the Thames your loved ones can be as busy as they want to be by choosing from a variety of daily activities and outings. Along with the peace of mind in knowing that we have them cared for 24 hours a day. 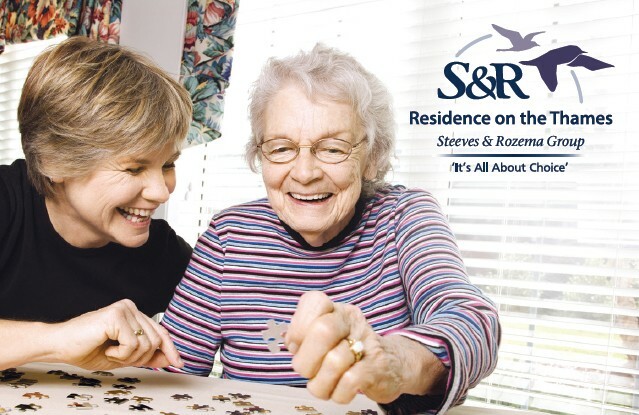 We offer them daily support through specialized care options to meet their needs with our professional and caring staff. 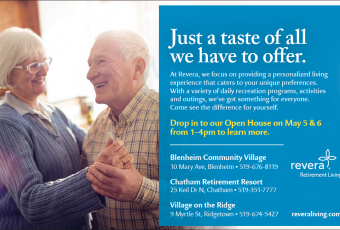 Here at the Residence on the Thames it is always “All about Choice.” We would love for you to experience how we “feel” so please stop by to check us out or call 519-351-7220 today!!! Pickleball ® a game that’s been around for 50+ years and is still enjoyed by all ages!